This morning I had time off while A en K values were rather alarming (54 and 5 respectively). My opportunities to go out for a longer stretch of time /P are limited so even when conditions are predicted to be bad I still have a go. I took my hexbeam and mobile amp to see if I could work some stations anyway. I went out to PAFF-0060 as it is not too far away and has an open area where I know I can set up the hexbeam. 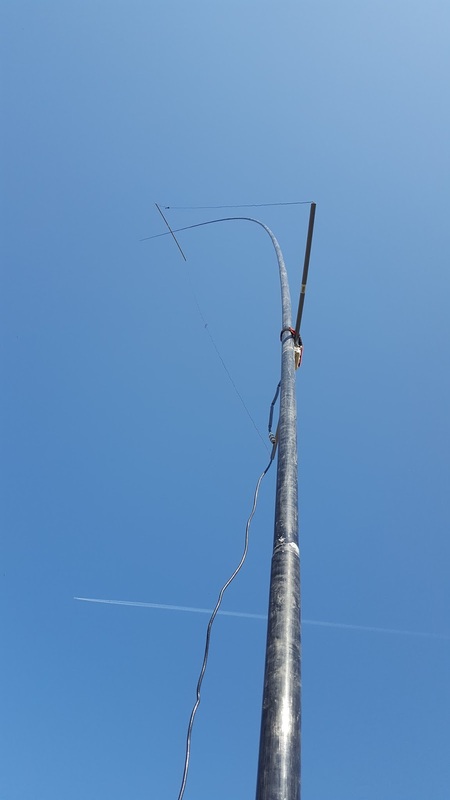 My new temporary call sign (PC44FF) is only valid from April 1st, so it was back to PH0NO/P again. The weather was absolutely brilliant but band conditions were really poor. There was a lot of QSB and absolutely no DX to be found. Through the VKFF FB page I had two VK's checking on their end but not a chance. Europe was not too strong but there were enough chasers around to keep me busy. 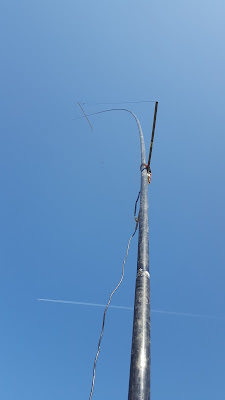 Before going home I checked 40m for local skip using my C-Pole antenna. There was quite a pile-up for half an hour. All in all I logged 152 calls from 33 DXCC (85 on 20m, 2 on 17m, 65 on 40m) with 6 park-to-park contacts in 2 hours actually behind the radio. R9 was at 5000km the odx of the day. Next time I hope my timing is better. Looking good Lars sorry i missed you , but great to see this with your Hexbeam . 73' 44 Jan PD3JAG. Next time we'll try again - probably as PC44FF in april. Danke Thomas! Auch ein Hexbeambenutzer sehe ich. 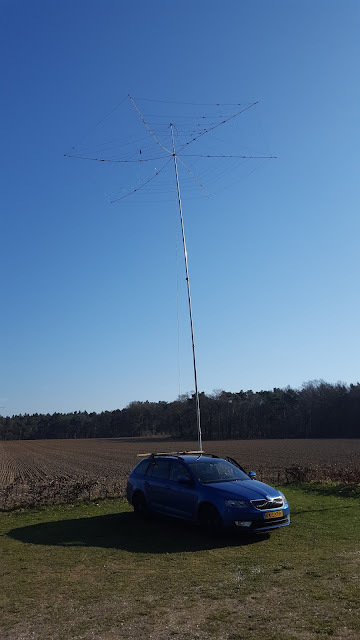 Eine tolle Antenne.